From the Dean: Happy New Year! 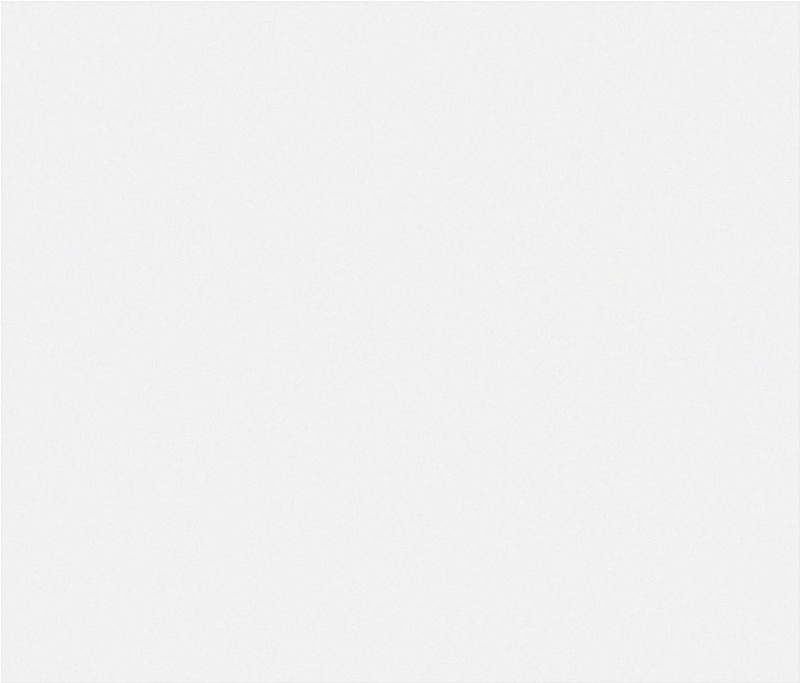 The E-Brief has a new look! Tell us what you think at alums@kentlaw.edu. We appreciate your feedback on how we can improve communication with our alumni community! We had a remarkable fall semester at Chicago-Kent - how can one top visits by two Supreme Court Justices, the President of the AFL-CIO, and bar results that placed us first in the state! There are several ways our alumni community can contribute to keep the momentum going. 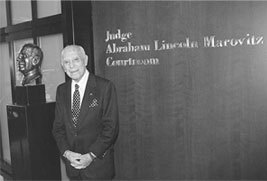 For instance, please consider nominating a fellow alumnus/a or organization who demonstrates outstanding public service leadership for The Honorable Abraham Lincoln Marovitz '25 Public Interest Award, the Outstanding Pro Bono Service Award or the Public Interest Partner Award. 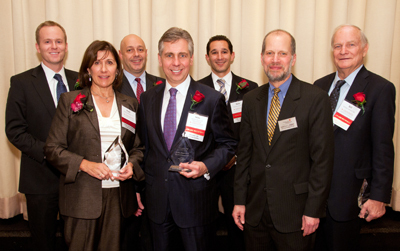 Recipients will be honored at our Public Interest Awards Night on April 26. We also encourage you to mentor a current Chicago-Kent student by participating in the Access2Practice Legal Externship Program, offering an unpaid externship for the 8-week summer session, May 21-July 12, 2012. Please complete the Externship Interest Form by February 1. My best wishes to you for a healthy, successful New Year. 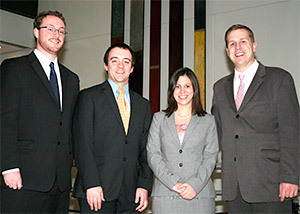 (L-R): Moot Court Honor Society members Daaron Kimmel, Justin Hagan, Whitney Friedman & Josiah Jenkins. Consider hosting an unpaid externship for a Chicago-Kent student over the 8-week summer session, May 21-July 12, 2012, as part of our enhanced legal externship program, Access2Practice. Please complete the Externship Interest Form by February 1. Chicago-Kent's Young Alumni Council is hosting a series of free CLEs, followed by networking receptions, on the third Thursday of every month from January through June. For a full list of topics, visit www.alumni.kentlaw.edu/cleyac. Wednesday, February 1, 2012 | 5:30-8:00 p.m.
March 2012 | More information available soon. Hundreds of Chicago-Kent alumni and friends gathered to honor the 2011 Alumni Award Recipients and our alumni and friend volunteers. Chicago-Kent alumni attending the ISBA Mid-Year Meeting and others in the Chicago-area met up at the Sheraton Chicago for drinks and networking. Back row (L-R): Scott Curran '01, Bob Surrette '97, Nick Caputo '01, & Bill Johnson '66. Front row (L-R): Patti Whitten '74, Mike Marick '82 on behalf of Meckler Bulger Tilson Marick & Pearson LLP, & Dean Hal Krent. ISBA Mid-Year Meeting Reception Attendees. 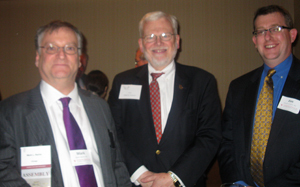 (L-R): Mark Karno '82, Judge Al Swanson '82, and Jim Cronin '95. Have a New Year's resolution to build your network? Join the official Chicago-Kent Alumni group on LinkedIn! With nearly 2,000 alumni, faculty, and student members, it's a great forum to connect, discuss legal news, seek referrals, and grow your professional network.